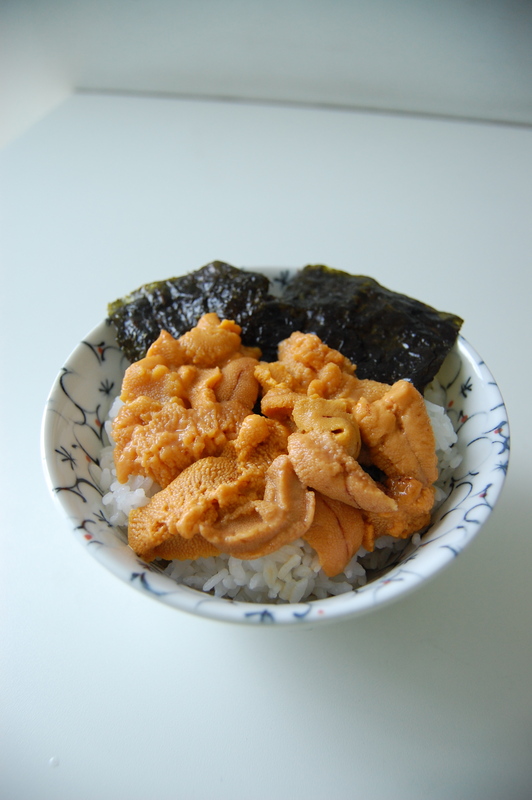 Donburi are great one bowl meals. A large bowl of hot rice with toppings. We often eat these at home when we are in a hurry. Or, if Shinji is making the meal, he often resorts to donburi. They are easy to assemble and only one dish needs to be washed. Looking over the list there are no surprises. Many of these are hearty dishes. Some chain restaurants specialize in some of these dishes. Tenya for tempura donburi or some of the gyudon chain restaurants like Sukiya. Specialty restaurants like Tamahide in Ningyocho have long lines for the signature oyakodon. If you are craving donburi after reading this, your best bet may be Tsukiji Market where several restaurants in the outer market will have the kaisendon, tekkadon, unidon, ikuradon, and more. I had 1 through 6 when I was in Tokyo in July, but missed 7-10. Next time!